We are a leading Manufacturer of pvc socketing belling machine, plastic pipe extruder, stainless steel pins and plastic pulverizer from Ahmedabad, India. Symbolic to all the success that we have acquired in the industry, remains our status as the leading manufacturer, exporter and supplier of a wide range of PVC Socketing Machine. 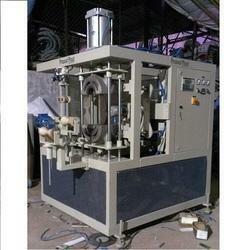 Widely used for cutting pipes, our offered machine is manufactured under the guidance of our skilled professionals. 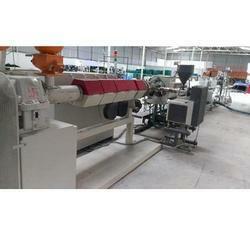 The entire range is stringently tested by our quality experts against various quality parameters. 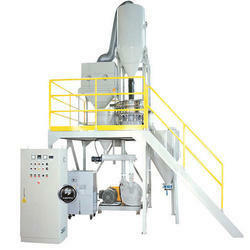 Besides, this is available at industry leading prices. 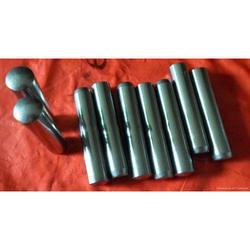 Keeping in the mind various requirements of our clients, we are offering premium quality Stainless Steel Pins that is suitable for various specific applications in different industries. Our offered pin is manufactured utilizing premium quality basic material and high end technology in line with the defined industry norms. Apart from this, it is available in different sizes and designs as per the requirement of our clients. We offer this to our clients at pocket friendly prices. Keeping in the mind various requirements of our clients, we are offering premium quality Die Pinthat is suitable for various specific applications in different industries. Our offered pin is manufactured utilizing premium quality basic material and high end technology in line with the defined industry norms. Apart from this, it is available in different sizes and designs as per the requirement of our clients. We offer this to our clients at pocket friendly prices. We are remarkable entity, engaged in offering high-quality Plastic Pulveriser Unit that is used for the grinding of many different types of materials.